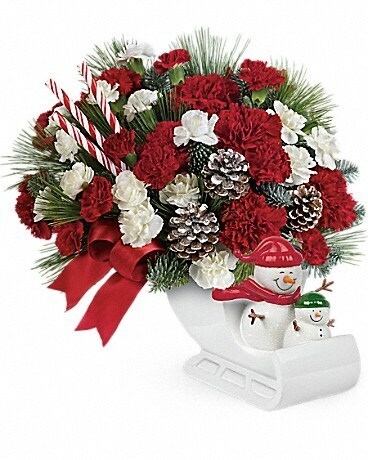 Frosty fun! 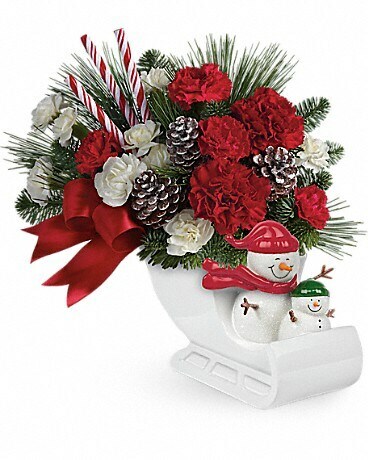 Celebrate the joy and excitement of the Christmas season with a gorgeous bouquet of red and white carnations artfully arranged in this whimsical ceramic keepsake. 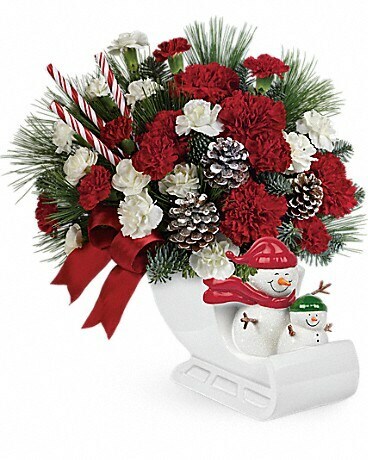 Its smiling snowmen, pearlescent glitter and hand-painted details will delight them for many holidays to come! Let it snow! 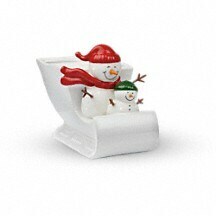 This precious snow family in a sleigh is made of ceramic with pearl glitter details and will bring excitement and joy to everyone's holiday season! Available exclusively from Teleflora.